Over the last decade, Somalia has become synonymous with piracy. Several countries, including India, have been affected directly or indirectly because of this menace. 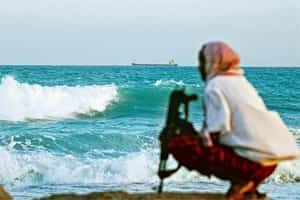 Despite patrolling and intervention by security forces of many countries, Somali pirates have exacted several hundred million dollars in ransom, held over a thousand people as hostages and disrupted trade worth $12 billion annually. The cost of keeping naval channels safe, security on ships, delays in sailing time and increased insurance premiums all add up to a sum that has to be borne by consumers. Security measures, however, address only one issue—and perhaps at the wrong end of the stick. To appreciate why the combined might of several countries fails to check this threat, it is important to understand the root of the problem rather than its manifestation. Somalia—like several other African countries—has been ravaged by war, famine and acute deprivation for decades. When United Nations (UN) forces withdrew from Somalia, the country turned into a “failed" state virtually overnight. With the collapse of any credible government, the Somali navy ceased to be an effective force and the country’s territorial waters became happy hunting ground for industrial fishing vessels from all over the world. When word about this unprotected haven got around, Somali waters were further ravaged by dumping of radioactive and toxic material all along its coastline, damaging marine life. As if this weren’t enough, the 2004 tsunami washed up contaminated waste right to Somali shores, sounding the death knell for millions of Somalis who depended on the sea for subsistence. The first instance of “piracy" began when the deprived Somali fishermen started confronting the industrial fishing ships and were obviously beaten back. However, this led to the fishermen teaming up with battle-hardened gunmen who were in plentiful supply, thanks to the decades of civil war. A lethal combine was formed between fishermen who knew the waters like the back of their hand and fighters for whom the ubiquitous AK-47 was an extension of their body. Warlords, especially in southern Somalia, seized this income opportunity and turned piracy into military campaigns. The raiding parties now had automatic weapons, rocket launchers, high-powered outboard motors and state-of-the-art navigation and communication devices. Pay-offs of up to $5 million have been obtained for the release of individual ships, and delivery of ransom has included sophisticated methods such as airdropping of cash over high seas. For the starved Somalian economy, the pickings were simply too rich to resist. The Gulf of Aden is the jugular for most shipping in the southern hemisphere and is especially vital for India. What started out as an outraged protest has turned into a billion dollar industry with low investment. In 2008, the world started getting its act together, with the UN empowering naval interceptors to enter Somali waters in hot pursuit. Large flotillas are now escorted by destroyers, but there are simply too many ships and not enough sheriffs to ride shotgun. In response, the pirates leverage time-tested tools of guerilla warfare. Agility is laced with ruthlessness to send a message that it is cheaper to settle the ransom than to involve authorities. A typical raid begins by identifying and stalking a potential vessel from a safe distance using radars. At an opportune time, usually during the night, fast attack craft approach the vessel from multiple directions and overpower the defenceless crew, sometimes killing and maiming them. Next, the vessel is rigged with explosives to prevent storming by security forces. This is a strong deterrence because it uses the crew as human shields and also threatens an environmental disaster. This deadlock has the same elements as many security issues facing the world. An impoverished community is pushed over the edge by the rapacious greed of a few. Fragile environments and meagre livelihoods are destroyed with disregard to people who rightfully own and depend on them. When those communities rise in retaliation, the world is outraged and brings its heavy-handed (and horribly expensive) might to tackle the surface problem, while continuing to ignore its root cause. This same script is played out time and again, be it forced relocation of coastal fishermen in Sri Lanka after the tsunami, purportedly for their safety—where five-star hotels were built—denying them access to the sea, or spraying of chemicals in Afghanistan to destroy the poppy crop without providing an alternative source of income. Even as you read this, pirates are holding nine vessels with more than 240 hostages. Their beat has increased way beyond the Somali waterline into the high seas, often as far as the Kenyan coast. Piracy continues to exacerbate, costing the world billions of dollars. And yet it all started when poor fishermen were denied their livelihood. It is time for us to realize that the world is one village and no matter how distant the problem seems to be when it begins—unless addressed immediately with foresight—it lands at our doorstep quickly.